Surface disinfection of floors, walls around the pool. No harmful residuals are formed, compared to the traditional chlorine based swimming pool chemistry. Replacement for quats when used as a surface disinfectant. Complete protection from bacteria, viruses, fungi and algae. 100% chlorine-free and child-friendly alternative. Colourless, odourless and non-corrosive at usage doses. Works in a wide temperature and pH range. Does not form harmful by-products. Crystal clear and silky water. No irritation to the eyes, skin and respiratory system. Also suitable for people with asthma. Long-lasting and controlled effect, thanks to its unique formula. Check out our Huwa-San Pool video! 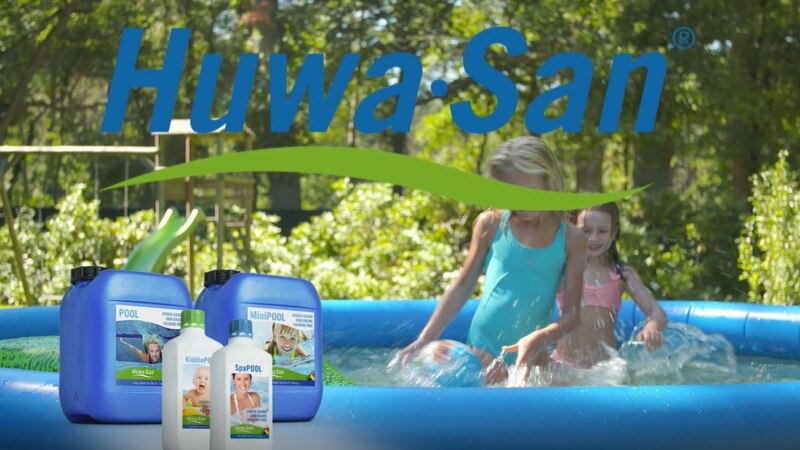 Watch this video to learn more on our Huwa-San for Pool disinfection products.